It's been a while since the last video game review and I understand that this may be an old game to do a review about but finally completing this game is an accomplishment to me. I started playing this game around Christmas and have only attempted it around the weekends of when I have free time. The fact I was able to finally complete a two disc story-mode game that spanned over 40 hours really means something to me that I wanted to create a review for this game. The Premise: Gabriel Belmont is a member of The Brotherhood of Light that serves to protect the world from the monsters and evil that infest the world. When his beloved Marie is found dead, Gabriel goes on a quest to find a way that he can bring back his deceased wife back to the living. In his travels, Gabriel meets that guardian Pan that instructs him to go to the lake to communicate with the spirit of his dead wife but in the process, he meets Zobek, another warrior of light. 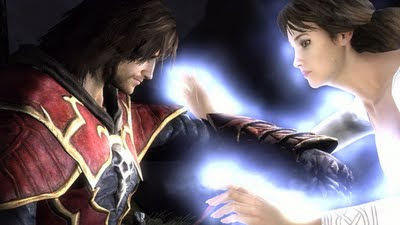 Zobek reveals an ancient legend of the Brotherhood of Light that states when the Lords of Shadow are defeated, the powers can unite the connection back to the heavens and bestow Gabriel with the power to bring Marie back. The quest brings Gabriel to fight the three Lords of Shadow and bring together the pieces of the God mask which is said to see and resurrect the dead. He must travel through the lands and vanquish the three Lords: Lycans, Vampires and Necromancers. 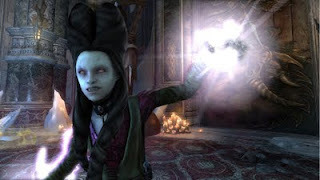 Aiding Gabriel (one way or another) throughout his adventure includes the warrior of light Zobek, the telepathic mute girl Claudia and her Black Knight golem, the clairvoyant Pan, playful yet psychotic teenage vampire Laura and aging mystic witch Bab Yaga. 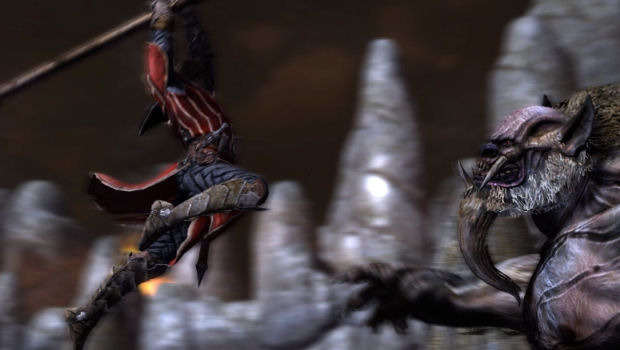 Where To Play: Lords of Shadow is available on a multitude of gaming consoles such as the Xbox 360 and PlayStation 3. Once again for the basis of this review, I have played the game on the 360 (if you have any other suggestions for games on other systems then please say so, I have the gaming systems but will try to play the games to write a review for you). 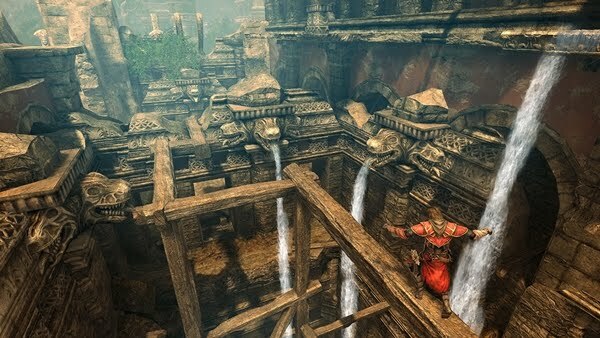 The Good: One thing that stood out compared to all other aspects of this game is the visual design of the settings and scenery. Each level is visually stunning and you can tell that the video game designers spent countless hours making sure that each detail from a rock to the reflection of the water was perfected. 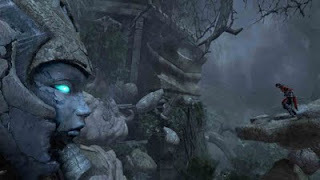 In most games, the setting is just emphasized as the background and treated as such where the camera and dynamics are focused on the playable character whereas this game focused on the setting and you had to adapt to each level and the camera angle/environment you had to deal with like a falling ledge or climbing up a dilapidated cave to the one entrance in the middle of the ceiling. The Castlevania series is known for its complex and intertwining storyline. Many fans (including myself at times) have debated (or brought into question) the true canonical story that gives the player an accurate depiction of the adventure. While many games before left you wondering the true story, Lords of Shadow is surprisingly linear and gives you a storyline that spans two discs that the gamer can follow. The story was not overtly complicated: you knew there were three main villains you had to face with the ultimate goal of bringing your dead wife back while everything in between was fodder. In the previous installments, you were just pulled into the adventure to know that Dracula was at the end to fight but another big villain is ready to fight instead. It must be cliché that I’ve focused on the setting and story aspect but I’ll keep it going with the characters (don’t judge me). Sometimes developers choose the wrong person to portray a character but surprisingly, I was pulled into each character dynamic. The highlights have to be Gabriel, Zobek and Laura (the vampire teen in particular for a supporting character). I somewhat figured out the twist with a specific character halfway through the game but I enjoyed the twist and believed that it would turn out this way instead of certain games (couch*Heavy Rain*cough) throwing out a twist just to have a shocking conclusion. The Bad: Now here is the true root of any video game review. I think these paragraphs are what you all truly skim over the post to read. While the camera angle did help to set the mood and setting, sometimes it was very detrimental when using Gabriel during the game. Many times throughout a level, the camera angle would cause me to move Gabriel in the wrong direction causing him to fall off a cliff, or a pedestal, or a ledge; something that got me frustrated to work around the scene. The controls were already choppy at certain moments like when jumping and trying to hook a ledge to swing, the directions when moving around certain objects or when Gabriel continues to move at the slightest tap of the control stick and I so happen to fall off the moving pedestal. The fighting controls were easy enough but I wish there was more explanations on how to use them (like during a spontaneous puzzle). The last thing (which depends on the type of person) is that the design somewhat takes away from the nostalgia of the Castlevania series. While I loved the plot of the story and functionality of keeping it linear, this game made sure the backtracking aspect was kept to a minimum. For previous games like Symphony of the Night, Alucard was able to revisit all the areas of the castle (another issue which I will present in the next paragraph) even when he completed the boss but this game focused on levels and once a level was completed, you moved on. 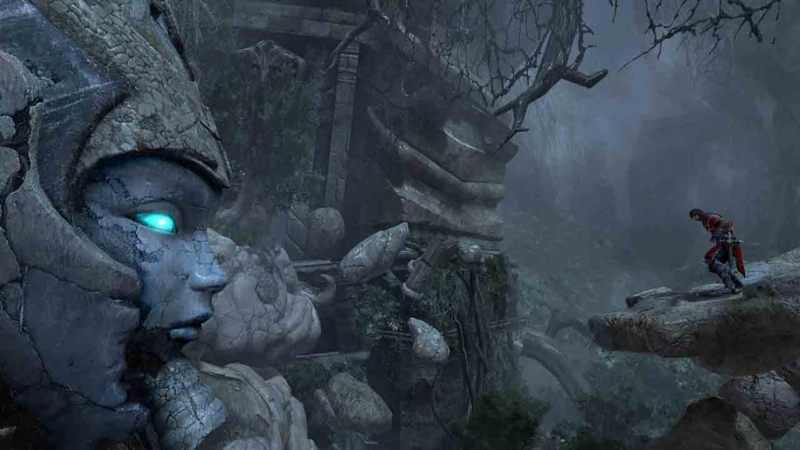 It’s great for re-playability but loses the aspect to explore hidden chambers and rooms. The biggest thing which I think everyone can agree me with to a certain point is that there technically was no official Castlevania in this game. It was a prequel to all the events that happen later on but the only castle you get to explore was when you had to fight the Vampire Queen, Carmilla. The castle was amazing and it would have been great to have more levels to explore the castle but it was more a small taste to the experience we’ve all enjoyed from the previous games. I think that’s my real disappointment is that I wish it was clarified as Castlevania and not just a namesake for this game. 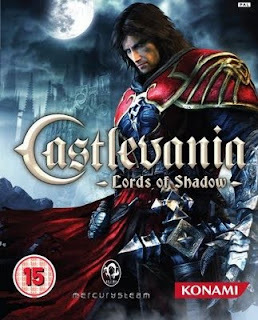 I have much respect for this game as it truly redefined the perception of the next generation Castlevania game. It brought life to a somewhat dead (drum-line please!) or classic series to a new generation of gamers. The plot and characters were impeccable and kept you at the edge of your seat. While there was (in my opinion) too much downtown in between the eventful moments and the choppy controls didn’t help either. It made the game more realistic than adventure games that always just use the same formula: slow opening-action-action-more action-pointless dialogue-shocking twist-final battle-climax finish-credits. I hope that there will be a sequel after seeing the twist at the end but we’ll just have to wait and see if a new school of Castlevania games will be on the horizon…most likely at night. Agree or Disagree with the review? Share your thoughts below and let’s hear what you have to say about the game we just reviewed.